Primary Biliary Cirrhosis, Portal Hypertension, and the Frustration of Knowing There’s No Way of Knowing What I Need to Know. I haven’t had a post recently on primary biliary cirrhosis. One feature of this blog is the occasional post on what it is like to have this autoimmune condition. 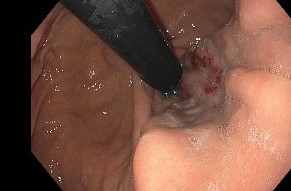 In the past two years, I had three bleeds as a result of esophageal varices bursting as a result of portal hypertension, itself a result of liver damage caused by damage to the bile ducts. The first was in August 2010 and I required four transfusions. A year and two weeks later I had my second bleed in August 2011. Then at the beginning of this March, six and a half months later, I had my third. After the second and third bleeds, I had two transfusions. As you might guess, when August of this year rolled around, I worried. I got through August fine, and September as well, that is, no bleed. 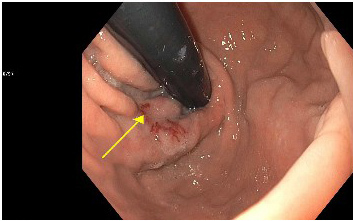 Tomorrow I am having an exploratory endoscopy to band any varices that look like they could cause problems. Twelve hours, and I will have dodged a bullet. Or maybe I will be informed that there was nothing to worry about, that no new varices have developed. But this doesn’t mean varices won’t develop later this month. Or maybe not til November or December. Or maybe never. This is what I mean by the frustration of knowing there’s no way of knowing what I most need to know. There’s no predicting these things. You can catch them before they happen with endoscopies — and luck. 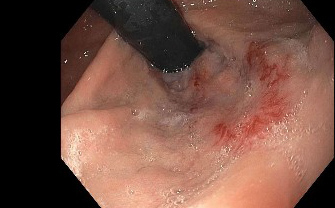 Endoscopies aren’t painful, but they require twilight sleep anesthesia, and they are invasive procedures with the usual risks. It just doesn’t make sense to have one every week, or month, or two months. How about every three months? Four? Where to draw the line? 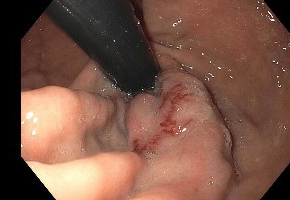 When the varices burst, there are no warning signs until it is too late to do anything but react. With the third I had an inkling that I had started a bleed when I began to feel faint for no reason. Within 15 minutes I was vomiting blood. When the paramedics arrived, they were hopeful they could get me out the door to the stretcher. It didn’t happen. I stood up, and next thing I knew I was in the ambulance with IVs adding fluids to raise pressure to keep blood going to the organs. When there is no science, magical thinking takes over. You look for patterns to make sense and end up thinking that if in the past two Augusts you’ve had a bleed, why won’t the pattern continue? If the time elapsed between the first and second was roughly a year, and between the second and third was six months, does that mean the fourth will be six months after the third? — or three months? — or maybe never or maybe there is no pattern. It’s hard not to think that each day that passes without a bleed simply means you’re one day closer to the next one. Or that every time you don’t feel quite right the next thing to expect will be blood. And there are places it would be worse to be than others. On a hike in a remote region, alone on the road on a rural highway, up in the air mid-flight. You start to curtail yourself, and let the threat define the parameters of your life. Whether varices are found tomorrow or not, I’ll be safe from this threat — for a while, anyway. But how long a while?